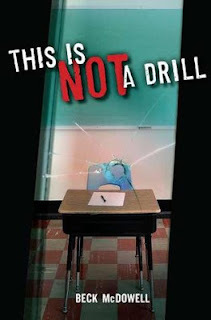 Beck McDowell is the author of the recently released novel This Is Not a Drill. It's about what happens when two high school seniors who recently broke up find themselves the only adults in a classroom of first graders with a gunman who takes them all hostage. Beck was kind enough to stop by and share some information and advice about her writing process! Attire: often pj’s or sweats but if I come in from a wedding or social event and the mood strikes, I might write in a skirt and pearls. Publisher: Penguin. 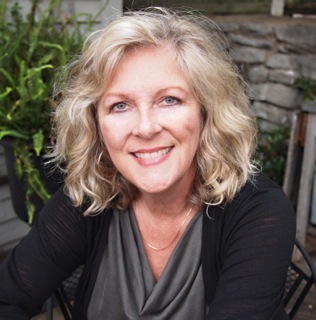 My editor, Nancy Paulsen, is a.maz.ing to work with. It’s intimidating to join ranks of her authors - like Jacqueline Woodson and Tommy DePaola – and in the past Roald Dahl and Mildred Taylor. That bar is set really high so I work hard to try to measure up. Beta Readers: I’m lucky to have a great group of “first readers” comprised of family, close friends, and writer buddies. They are essential to the process! Writing quirks: I don’t always write chronologically. I think in scenes and they don’t always come to me sequentially. Job Hazards: Anxiety over whether the words will come. Every day’s a new day, worrying I’ve forgotten how to ride the bike. Distractions: That siren we call the internet. SO, SO hard not to look at FB, Twitter, Pinterest, e-mail, etc., especially when the words aren’t flowing. 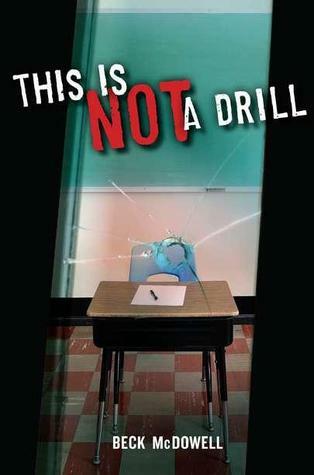 Be sure to check out This Is Not a Drill, out now!